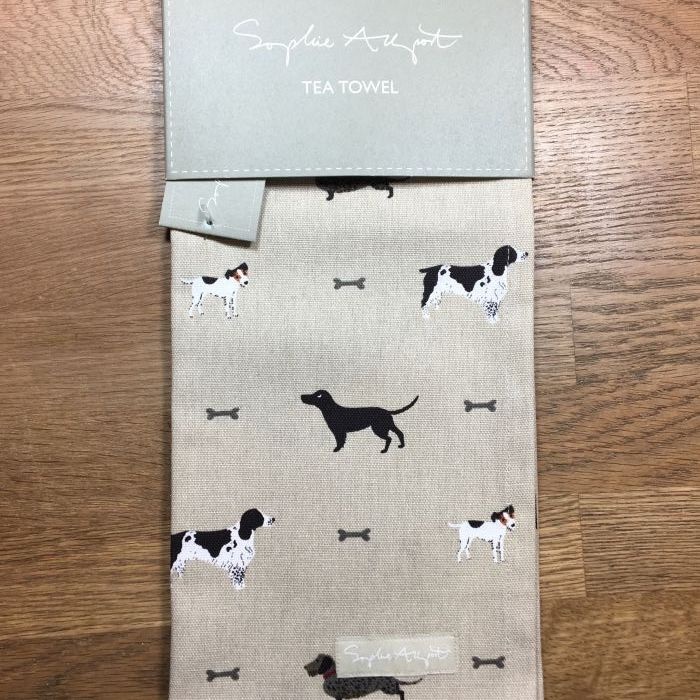 Inspired by lots of different breeds of dog this tea towel is covered with dogs! Wire haired dachshunds, springer spaniels, cocker spaniels, black labradors, pugs, jack russells and fox red labradors all feature on a wheat beige background colour. There is a handy 'loop' on the top left corner of the tea towel so you can hang it up in your kitchen.